If you own stock in a publicly traded corporation and you are unhappy with the return on your investment or with the direction management is taking the company, you can sell your shares, cut your losses and walk away from the business. If you are an unhappy minority shareholder in a privately held corporation, it’s not that simple. Our experienced New York commercial litigation lawyers can explain your legal options in a shareholder dispute and help you resolve the matter. Sometimes, a shareholder dispute can be resolved through negotiations, mediation or arbitration, or an accounting; other times, the shareholder relationship is so damaged that the only solution is to dissolve the corporation. This may be done voluntarily (by vote of the shareholders) or involuntarily (by petition and court order). The judicial dissolution of a corporation is commonly referred to as a “business divorce.” These proceedings are governed by New York Business Corporation Code §1104 and §1104-a. Section §1104 provides that a 50% shareholder may seek dissolution in case of deadlock among the directors or shareholders. Section §1104-a provides that a minority shareholder holding 20% or more of the shares may seek dissolution on the grounds that (a) the controlling shareholders have been guilty of “illegal, fraudulent or oppressive actions” toward the petitioning shareholder; or (b) the controlling shareholders have “looted, wasted, or diverted” the property or assets of the corporation for non-corporate purposes. If dissolution is sought under §1104-a, the other shareholder has the option to avoid dissolution by buying out the petitioning shareholder. At Hiller, PC, our New York commercial litigation lawyers have broad experience resolving shareholder disputes, but we are particularly good at handling business divorce cases. 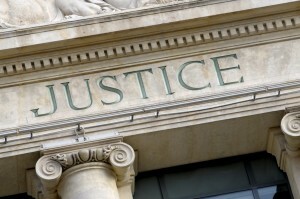 We understand the special rules and procedures that govern these cases. We are a boutique firm, so we can give your case the personal attention and detailed focus it deserves. Whether you are seeking a business divorce or you have been served with a petition, we will make sure you understand your legal options and help you make informed decisions as you work through this transition. Use the online form on this page to tell us briefly about your situation, or call our office to schedule a free initial consultation.